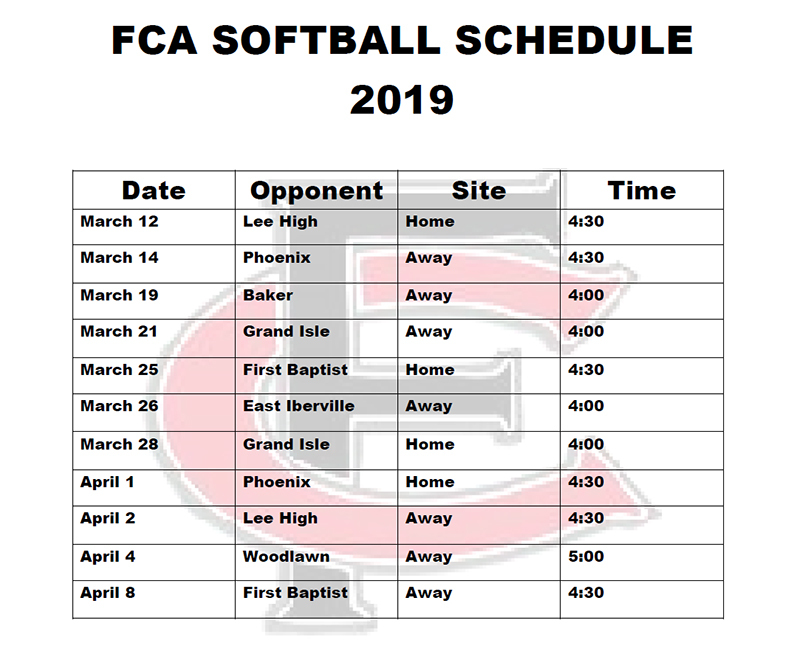 The FCA softball team is coached by Miss Jessica Stroud. This is her third year coaching the team and she has taken them to the state tournaments once already. There are currently 15 girls on the team. They have good strength in all positions and are great hitters. The team not only plays together but prays together and serves as ambassadors for Christ when they step on the field. 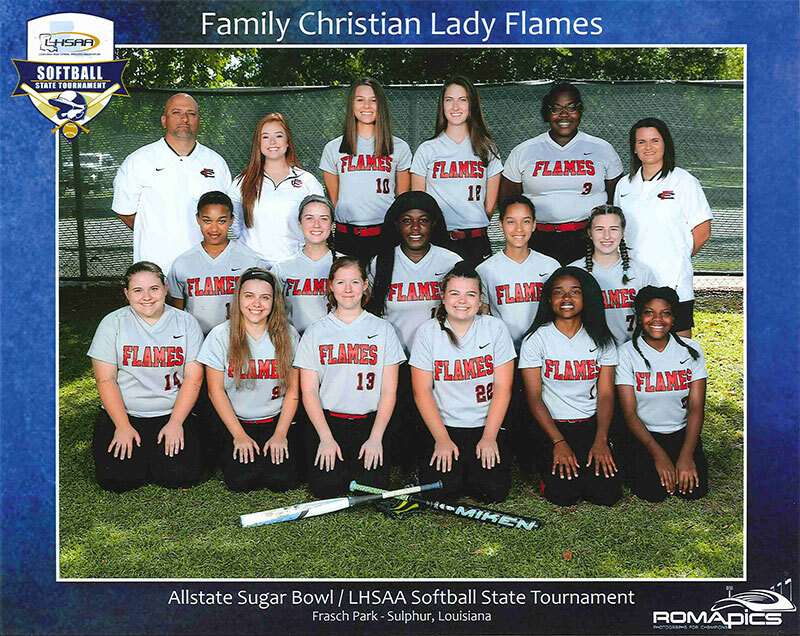 The FCA softball field is separate from the baseball field, is lighted and has bleachers and a covered score room.